The internet is flooded with food photos, recipes and diet advice, partisan news, and farmer-inspired fashion, but who is listening to the farmers themselves? Farmers grow your food and manage nearly half of all land on Earth. It's time to pay attention to the policies, programs, and events that are shaping the future of agriculture. Our host, Lindsey Lusher Shute, co-founder of the National Young Farmers Coalition, provides a fresh, farmer-centric take on food and farm policy. We talk with policy makers, experts and advocates, and, of course, farmers, about the most critical issues facing farming in the U.S. and globally. Edited by Hannah Beal and recorded at Radio Kingston. Last week, the USDA's NASS released the results of the 2017 Census of Agriculture, the first count in over five years of U.S. farms and ranches and the people who run them. What do we know now about the state of agriculture in this country? Lindsey talks with Erin Foster West, Young Farmers' federal policy director, about the rise in female farmers, decrease in farmers of color, and what the 6.4 million data points mean for the future of farming. What would the Green New Deal mean for the future of agriculture, and how can it support the food and farm justice movement in this country? Lindsey Lusher Shute interviews Eric Holt-Giménez, Executive Director of Food First, who recently wrote "The Green New Deal: Fulcrum for the farm and food justice movement?" Lindsey is joined in the studio at Radio Kingston by freshman Congressman Antonio Delgado (NY-19) to talk about his hotly contested race for office, representing the needs of beginning farmers in DC, and how he's trying to reach across the aisle in an era of "political tribalism." After the show, Lindsey and Jessica debrief. POTUS vs. WOTUS: What Side of the Clean Water Debate Should Farmers Be On? Passed in 1972, the Clean Water Act (CWA) is one of the most progressive, influential environmental policies in U.S. history. The CWA is charged with keeping U.S. waters "fishable and swimmable," and protected from pollution. Recent proposed changes from the Environmental Protection Agency (EPA) would rollback these protections by changing the legal definition of "waters of the United States" (WOTUS). Lindsey talks with law professor Mark Squillace about the details of the Trump administration's proposed changes and how they could impact agriculture and the environment. The Bracero Program began in 1942 as an agreement between the United States and Mexico to bring Mexican workers to the U.S. to replace men who were leaving farms to fight in World War II. The program didn’t end with the war, however, it actually grew by hundreds of thousands of workers, and continued until 1964, laying the foundation for our current agricultural guest worker programs. Lindsey discusses the program's history, and its intersections with contemporary immigration, labor, and food justice issues with Dr. Matthew Garcia, professor of History and Latin American, Latino, and Caribbean Studies at Dartmouth College. The 4-H program's mission statement includes "a promise to America's kids to reflect the population demographics, vulnerable populations, diverse needs, and social conditions of the country." In 2017, however, USDA administration pressured 4-H to retract its LGBT+ inclusion policies. Shortly after, John-Paul Chaisson-Cardenas, the progressive 4-H Youth Development Program director who had been working hard to boost equity and diversity, was fired. Lindsey speaks with Chaisson-Cardenas, Dr. Sonny Ramaswamy, then-director of the National Institute of Food and Agriculture (NIFA), and investigative reporter Jason Clayworth about the implications of these actions and what's next for the youth leadership organization and its 6 million members. Happy Valentine's Day, y'all! To celebrate, we're talking with some of our farmers about L.O.V.E. We’ve got some tips from a couple that have been farming together for 44 years, a story of finding a farm partner and true love on “The Tinder,” and a surprise Valentine’s message for a certain Young Farmers Podcast host. *Warning: This episode deals with topics surrounding suicide, and may not be appropriate for all audiences. * Suicide rates among farmers and farm workers are among the highest of any occupation in the U.S. In part two of this series on farmer mental health, we talk to members of the Washington Young Farmers Coalition about the organizing they launched in response to the loss of founding member Justin McClane in 2017. We also hear from Matt Perdue of the National Farmers Union, Joe Schroeder of Farm Aid, and journalist Debbie Weingarten, author of the pivotal Guardian piece on farmer suicide, "Why are America's farmers killing themselves?" Warning: This episode deals with topics surrounding suicide, and may not be appropriate for all audiences. Suicide rates among farmers and farm workers are higher than in any other occupation in the United States. We start this two-part series with the story of Justin McClane, a founding member of the Washington chapter of the National Young Farmers Coalition, who we lost to suicide in 2017. Our hope is that by telling Justin's story, and sharing the powerful organizing his community of young farmers launched in response to his death, we can contribute to the effort to break down the stigma around mental and behavioral health, inspire policy change, and grow support for programs addressing the farmer mental health crisis in this country. If you are in crisis, please call the National Suicide Hotline at (800) 273-TALK (8255). You can also speak with someone directly at the Farm Aid Hotline at (800) FARM-AID (327-6243. For further resources, please visit https://farmcrisis.nfu.org/. This week, Lindsey talks with Matthew Dillon, Senior Director of Agriculture at Clif Bar &amp; Company, about Seed Matters, the company's organic seed research initiative. We talk about the challenges of food labeling for consumers, the differences between organic and conventional seed breeding, genetic consolidation in the U.S. food system, and Clif Bar's ag policy efforts. Learn more about Seed Matters at www.seedmatters.org. Tom Vilsack served as the 30th U.S. Secretary of Agriculture under President Barack Obama. Prior to his appointment as Secretary, Vilsack served two terms as the Governor of Iowa, in the Iowa State Senate, and as the mayor of Mt. Pleasant, Iowa. We discuss what it is like to manage the USDA during a shutdown; the national economic impacts; whether farmers are really still in support of President Trump; and the immigration debate at the heart of it all. Will 2019 be a year without the USDA? Lindsey speaks with Andrew Barsness, a young grain farmer in Minnesota, and Helena Bottemiller Evich, a senior food and agriculture reporter for POLITICO Pro, about the government shutdown and impacts on food and agriculture. Text ACTION to 40649 now to join our activist network and to let your Representatives know that young farmers need USDA agencies up and running ASAP. After months of waiting, we have a farm bill! Just before 10pm on December 10th, the 2018 Farm Bill dropped. The next day, Senate passed it through in a landslide, and on Wednesday, the House followed suit. 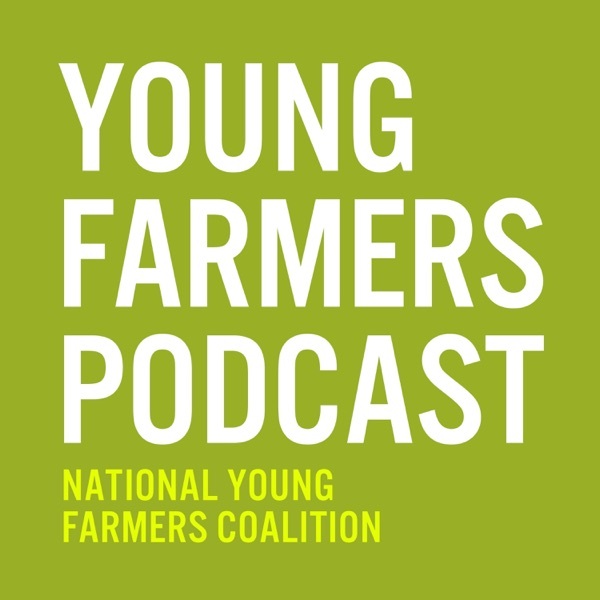 Andrew Bahrenburg, NYFC's National Policy Director, fields some listener questions about what it all means for young farmers and the future of ag. In October, the The Intergovernmental Panel on Climate Change (IPCC) released a stunning Special Report on Climate Change. The study found that if greenhouse gas emissions continue at their current rate we will face devastating consequences across all sectors by 2040, much earlier than previously thought. The IPCC is "the single largest science-policy experiment in history" according to Professor Mark Howden, a Vice Chair of the IPCC and Director of the Climate Change Institute at the Australian National University. We talk with Mark about the report's findings, the politics of climate change in the U.S., and how farmers need to adapt to a new reality. This week, we hear the powerful story of Isabel Quiroz of Tequio Community Farm in Mendocino, California. Isabel immigrated to the U.S. from Mexico four years ago, and was nervous about participating in the U.S. policy process, and about whether her experiences would be counted by Members of Congress. She shares with us about her journey to DC for our 2018 Convergence, and how becoming a young farmer advocate has helped her to gain a sense of agency as a U.S. citizen and to feel supported on her farm. Teaganne Finn, agriculture reporter for Bloomberg's BNA Washington Bureau, shares the latest on farm bill negotiations. The news? Things are actually moving forward. Teaganne's also been following the regulation of cell-cultured meat. Is it the meat of the moment, or the long distant future? We're just returning from our Annual Leadership Convergence in DC, and we're especially grateful for all of the amazing young farmers in our Coalition, fighting for a bright and just future for agriculture. Listen in this week for some words of gratitude from Lindsey Lusher Shute, and an announcement on some changes ahead for the Coalition. After years of spraying, Dewayne Johnson, a groundskeeper, believes the herbicide Roundup, which contains glyphosate, caused him to develop Non-Hodgkin's lymphoma, a rare and very painful form of skin cancer. So, he filed a case against Monsanto. Four years later, a jury awarded Mr. Johnson $289 million dollars in damages. This week, NYFC's Michelle Hughes interviews Leah Penniman, co-founder of Soul Fire Farm, food justice activist, and author of the new book "Farming While Black: Soul Fire Farm’s Practical Guide to Liberation on the Land." Leah talks about her history, her spirituality, and her work training the next generation of black and brown farmers to build a more sustainable and equitable food system. The 2014 Farm Bill has been expired since October 1st. What does this mean for young farmers and ranchers, and the USDA programs they rely on? This week, we catch up with Andrew Bahrenburg, our National Policy Director and guy on the ground in DC, about the effects of the expiration and fate of these so-called "stranded" programs. We also chat with USDA Economist Dr. Anne B.W. Efland about the history of the bill, and what's at stake if a new bill isn't passed this year. Also, a reminder to VOTE in the midterm elections this Tuesday, November 6th. In the meantime, you can take action today by calling your Reps and telling them that young farmers need a #farmbillnow. Text "FARM BILL" to 40649. This week, Lindsey talks with NPR's Food and Agriculture Correspondent, Dan Charles, about the controversy surrounding the herbicide Dicamba, and the drift damage it has caused to other crops and ecosystems across the country. The EPA will have the final say on whether farmers can continue to use Dicamba in the next few weeks. In 1920, 14% of U.S. farmers were black - today less than 2%. Land ownership by Black farmers has also declined over the past 100 years, from 15 million acres to roughly 2 million acres. These numbers are tough, but some say they would be even worse without the leadership of the Federation of Southern Cooperatives. Lindsey talks with Cornelius Blanding, executive director of the Federation, about Black land loss, how coops are helping black and rural communities, and their work with young black farmers. Welcome to the Young Farmers Podcast! Welcome to the Young Farmers Podcast. It's time to pay attention to the policies, programs, and events that are shaping the future of agriculture. Farmer-centric interviews by Lindsey Lusher Shute, co-founder of the National Young Farmers Coalition. Edited by Hannah Beal and recorded at Radio Kingston. In celebration of Indigenous People's Day, Lindsey speaks with Clayton Harvey of the White Mountain Apache Tribe in Arizona about how farming has shaped his spiritual identity and helped keep Apache traditions and language alive in his community. Clayton shares how his journey to Standing Rock has influenced him, and inspired other indigenous young people to farm. His farm, Ndée Bikíyaa, has a mission of promoting personal and cultural health among White Mountain Apache through agriculture. The recent hurricanes in the southeastern U.S. have been a disaster on many levels; leaving economic, social, and environmental destruction in their path. In North Carolina, a locus of global pork production, continued flooding has also led to a livestock death toll in the millions. This week, Lindsey interviews Tom Philpott, former farmer, and current food and ag correspondent for Mother Jones, about the complex future of confinement meat production in the U.S., and the clean up poultry and hog producers face in the storm’s aftermath. Hurricane Florence has caused an estimated $1 billion in damages to farms in the Carolinas, and the destruction continues. Lindsey interviews Davon Goodwin, a North Carolina farmer and manager of the Sandhills AGInnovation Center, to find out what it looks like on the ground, how farmers are trying to recover, and what can be done to build resilience in the future. AND, the farm bill expires September 30th. Ryan McCrimmon of Politico's Morning Agriculture gives us the rundown on what to expect by, and after, the deadline. Can farmers save the planet? We all know that the weather impacts agriculture, but farmers are also changing the weather. Dr. Nathan Mueller, head of the Mueller Lab at UC Irvine, walks us through cutting edge research on the relationship between ag and climate, and the powerful ways farmers can steer global environmental change. As the September 30th farm bill expiration date looms, Lindsey checks back in for a status update with NYFC's National Policy Director, Andrew Bahrenburg. What do the "Fab Four" have to do with farm bill conference negotiations? Will Congress pass a final farm bill in time? And what will happen to the programs young farmers rely on if they don't? Take action, and tell your Representatives that we need a #farmbillnow. Text "FARM" to 40649 today. Climate change is a hot-button political issue, but in the Western U.S., no one can deny that the drought and above average temperatures are real. Mike Nolan, a young farmer in Mancos, Colorado, gives an insider perspective on farming in extreme weather conditions, building resilience, and shares how an innovative conservation policy idea that started over beers and ended up in the Senate farm bill. What is the path forward for farmers in the arid West? Today’s bonus episode is about an important program in the 2018 Farm Bill that needs your support: Farming Opportunities Training and Outreach (FOTO). Tiffany Washington, Navy Veteran from Austin, Texas, shares her personal journey to farming, and how farm bill programs are helping her find success. It's hard to imagine anyone thinking more about the weather than farmers, but then again, there's Chief Meteorologist Mark Brusberg of USDA’s agricultural weather and assessments group. This week, Lindsey talks with Mark about the ways that drought, extreme weather, and the changing climate are impacting farmers and agricultural production globally and here at home. Mark also talks about "the blob," building farm weather resilience, and how farmers can keep track of it all. An Extraordinarily Difficult, Uphill Battle. Commodity farmers across the nation are struggling under the weight of low prices and tariffs, resulting in bankruptcies and crisis in farm country. In this second conversation with Roger Johnson, farmer and president of the National Farmers Union, we talk about how putting controls on production may be the toughest and most important battle for the future of agriculture. President Trump's trade war is sending U.S. agricultural markets into shock. Roger Johnson, farmer and president of the National Farmers Union, talks us through the situation on farms, the $12 billion bailout, and what it all means for the future of U.S. agriculture. In the next 5 years, 100 million acres of farmland will need a new owner -- yet finding farmland is the hardest thing for young farmers. Why is that? Holly Rippon-Butler, director of the land program at the National Young Farmers Coalition, talks about why it's so hard for farmers to find land, how land can be protected for farmers, and a bill that young farmers are asking NY Governor Cuomo to sign. Ferd Hoefner, the senior strategic advisor to the National Sustainable Agriculture Coalition, schools us on how crop insurance and commodity programs work and why they're causing problems. This podcast is critical listening for anyone looking to understand the farm bill. Lindsey Lusher Shute interviews; Andrew Bahrenburg walks and records; Hannah Beal edits; music Lee Rosevere. How do you pass a bipartisan bill these days? Lindsey Lusher Shute interviews Andrew Bahrenburg on the passage of the Senate farm bill. They cover the nutrition debate and midterms, an unexpected Cuba wrinkle, and what's next in the political process. What does it take to pass the farm bill? The House of Representatives voted in favor of a controversial Farm Bill on June 21st, and the Senate will vote on their version soon. Lindsey Lusher Shute interviews Andrew Bahrenburg, the National Young Farmers Coalition's policy director, about the highs and lows of farm bill politics. Stay tuned for Part II.